Any decorating magazine or website will tell you that painting a room is one of the easiest ways to give a space a whole new look and feel. And on one hand, I agree. Paint is relatively inexpensive, painting itself doesn’t require super expert DIY skills, and it’s usually a far less expensive way to make a big impact when compared to buying all new furniture or hiring a contractor to take your room back to the studs. However, let’s take a minute for some real talk, you guys. I love paint — we’ve used it to work magic in our home SO many times — but sometimes repainting isn’t realistic. Maybe you’re renting your home and the landlord won’t permit it, or you don’t want to spend an entire weekend on a project or aren’t thrilled about paying someone a few hundred dollars to come do it for you. I get it! I’ve gotta tell you, I’ve felt like this more times than I care to admit. 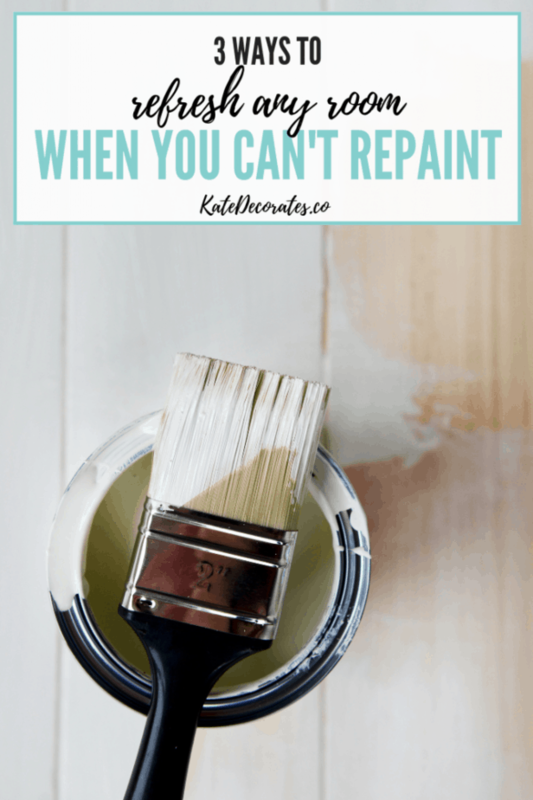 While paint really can be a game changer, my husband and I both work full-time outside the home and we have errands and other commitments on the weekends. So that leaves us — you guessed it — with very little time to tackle home projects. And when we’ve opted to hire it out, we’ve had to save up for it, as professional painters aren’t exactly cheap. Beyond being short on time, there are plenty of reasons that someone might not be able to repaint, like renting a home and not being able to make major changes. So how can you refresh a space without repainting? There are plenty of ways to make a room feel fresh again without changing its hue. You just have to get creative. 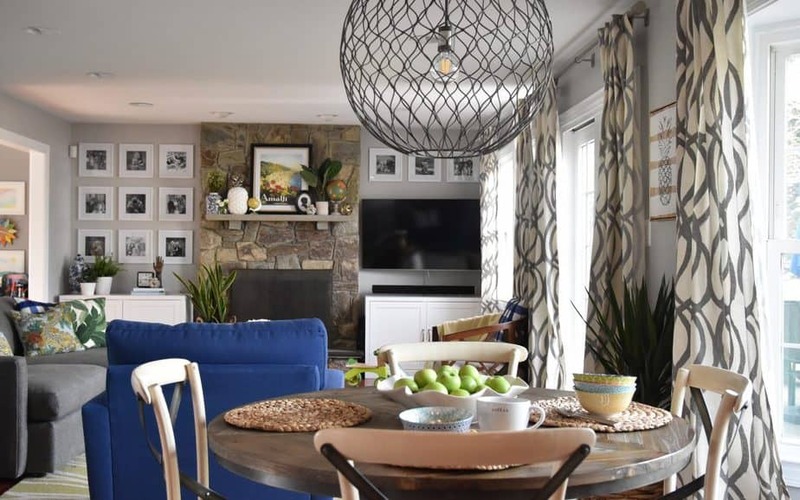 Find a decorative accent you love that incorporates the current wall color, and build your design “plan” from there. This is the exact approach I took when giving my daughter’s room a recent face lift. 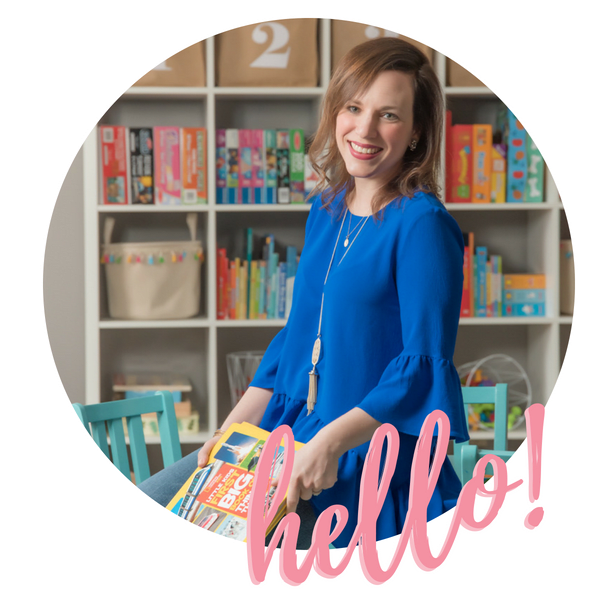 I’m not a total fan girl when it comes to the spring green walls (check out her entire room — and its budget-friendly makeover — right here), but we paid to have them professionally painted just three years ago, so my husband was adamant that we weren’t going to invest in a new paint job quite yet. 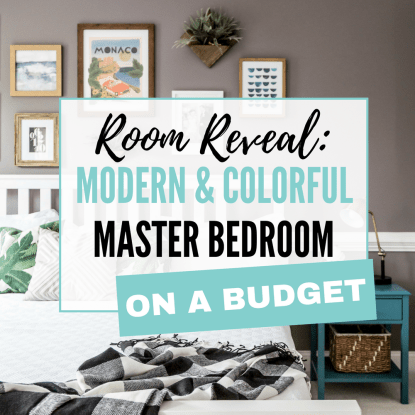 Instead of throwing my hands in the air, I found a way to work that color into the new palette, choosing a single accent piece I loved that included that color to be my starting point for the room design. What was it, you ask? This sweet owl artwork from Minted. 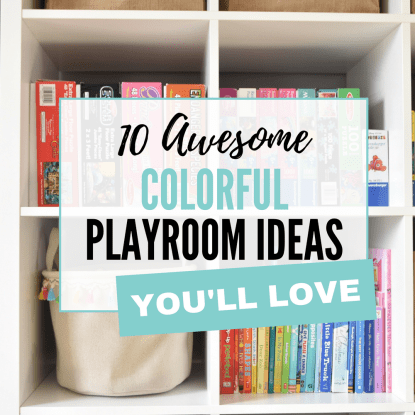 It included all my daughter’s favorite colors, plus — wait for it — the spring green color of her walls. Choosing a new accent like this actually helped to reignite my love of her bright, rainbow-colored room. While I do love decorating with color, the green walls felt like they were a bit much, so I think this new print made me feel better about the entire room design. Someday we’ll repaint, but shifting my attitude and embracing the wall color has really helped me (and her!) like this space again. P.S. Our owl wall art can be personalized, I just chose to add a quote to it. I love having options and making things my own! 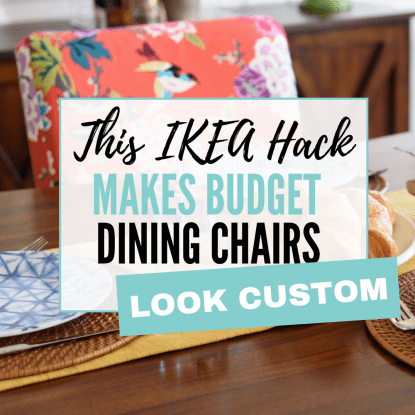 Swap out some smaller furniture pieces. 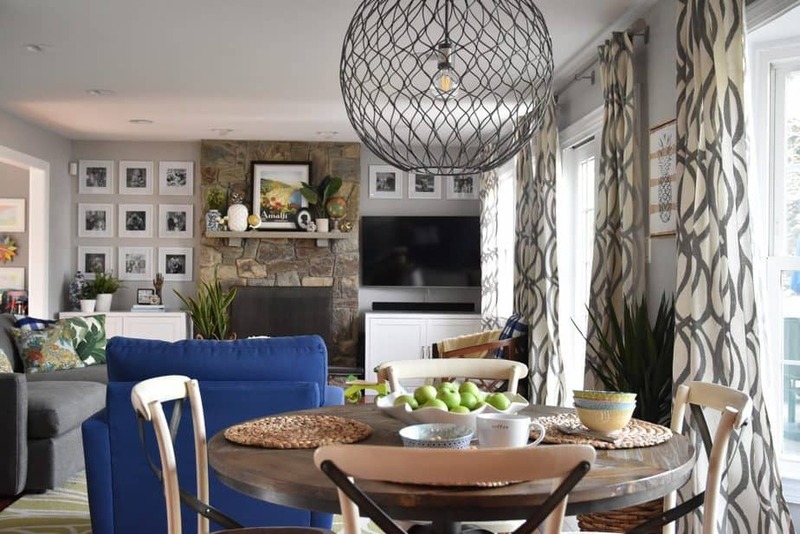 In addition to textiles and artwork, you could also consider purchasing a new accent table, rug, or console table — something that would give your room a refreshed feel without costing you hundreds of dollars. 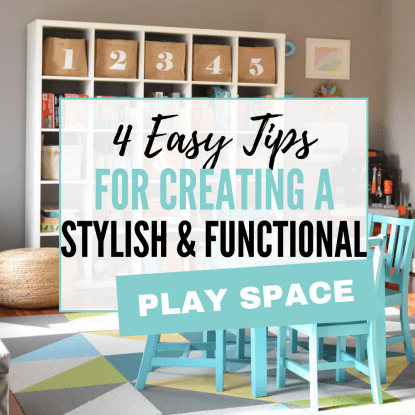 You don’t always need to make major changes or spend lots of money to make a big impact in your space. 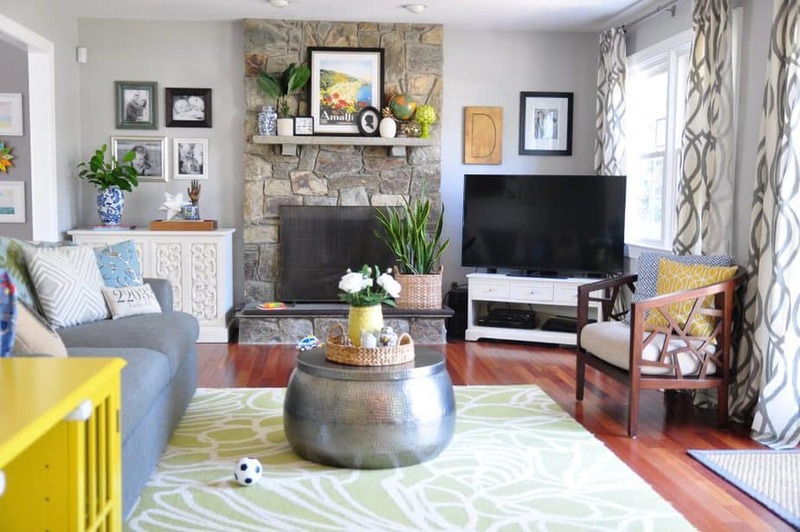 Just a few strategic swaps is really all it takes to make your space feel new again. Add a dose of (different) color and pattern with removable wallpaper. Years ago, wallpaper was every interior designer’s and homeowner’s worst nightmare. 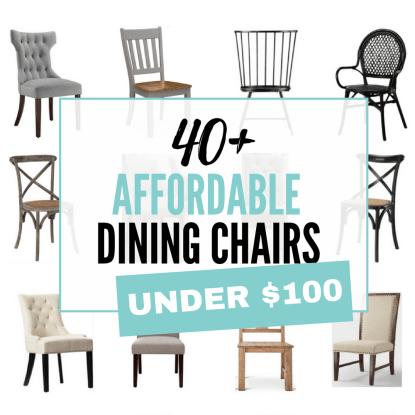 But now that there are SO many more options available than the 1980s floral variety that’ feels very grandma-esque, it’s become an easy, affordable and trendy way to update a space. Personally, I’m a fan of removable wallpaper. I know the old school kind can be gorgeous too, but I’m afraid of commitment when it comes to my walls, which is why I opt for the removable variety. And you don’t need to wallpaper every single wall of your room — even just choosing one wall will help you break up the monotony of a paint color you’re no longer crazy about, or the white walls of your rental. 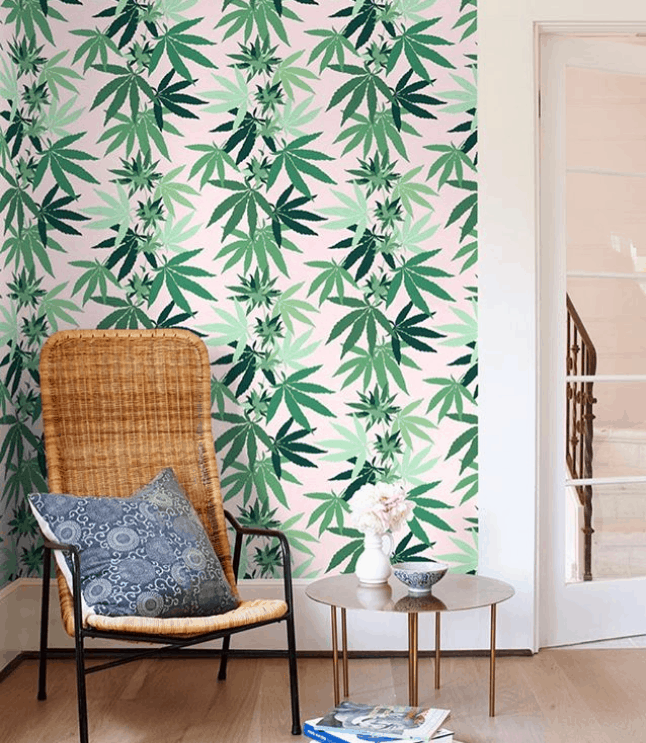 There are plenty of great shops that sell removable wallpaper — two of my favorites that I feel have some of the best patterns available are Chasing Paper and Wallshoppe. I’m also a big fan of Murals Your Way, which allows you to have your pattern printed on the material of your choice and fitted to your exact room dimensions. What other tips do you have for making the most of a paint color you don’t love? Any creative tricks I should keep in mind for sprucing up a room without changing the hue? Tell me below! WAS THIS POST HELPFUL? THEN PIN IT FOR LATER!